An up-close-and-personal portrait of the fashion icon, Karl Lagerfeld. This is an art history of the twentieth century as seen through fashion, its most glittering art form. Weaving together video footage, magazine layouts, and first-hand accounts, the filmmakers trace the life of DV, one of fashion's all-time most imaginative thinkers. Born rich ('but ugly', as her mother would have said) in Paris at the turn of the century, she partied her way to New York. When Carmel Snow noticed her chic outfit in a nightclub, she offered her a job at Harper's Bazaar. Thus began a fabulous self-created career, first at HB through the thirties forties and fifties, and then at Vogue in the sixties. 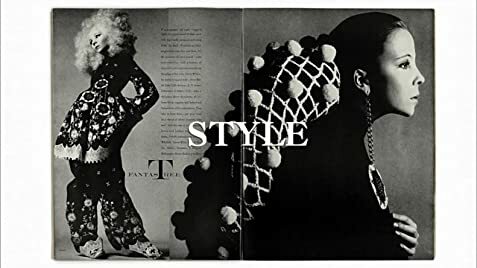 There, she launched photographers like Richard Avedon and David Bailey, and put designers like Yves St Laurent on the map. She discovered an endless succession of models like Verushka and Iman, who turned notions of beauty inside out. And she originated idea of celebrities as models, studding Vogue with wonderful shots of Cher, Mick Jagger, and Jacqueline Kennedy. 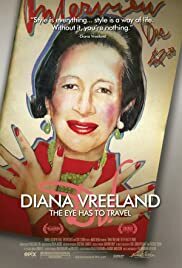 She also spent staggering amounts of Vogue's money pursuing fashionable subjects around the globe; they she fired her in 1972. She was not idle for long- soon the Metropolitan Museum persuaded her to help launch the Costume Institute. There, she was able to bring her extravagant sense of fashion to a wide audience, and, not incidentally, throw some great parties. The wealth of material here is stunning- and the filmmakers' skill in handling it is a triumph.